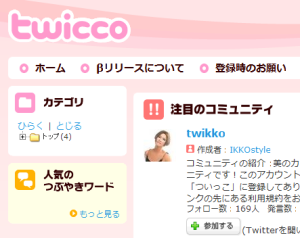 The news of the day in social media land: Twitter is apparently going to start experimenting with paid premium accounts through its Japanese subsidiary, which has always been a bit separated from the rest of Twitter and in many ways a playground for the company (Groups, Twicco, Twitvideo.jp). Details are sketchy at this point, but Japanese media are reporting that Twitter is going to introduce a tiered payment model and aims to charge people to view tweets from certain premium Twitter accounts. 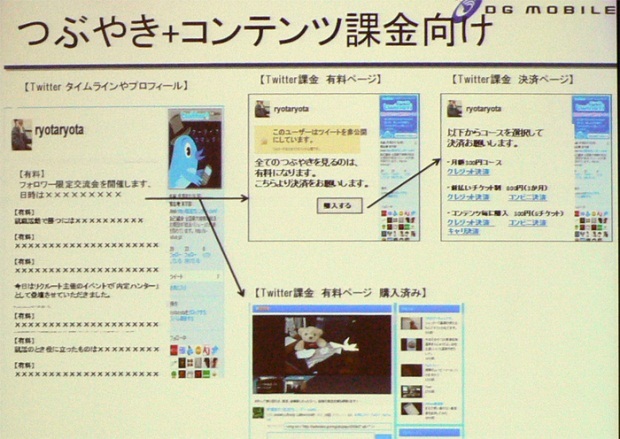 Twitter Japan, which is operated under supervision of Twitter investor Digital Garage, launched in April 2008 and boasted display ads right out the gate. At a conference earlier this week, Kenichi Sugi, COO of DG Mobile (a Digital Garage subsidiary), announced that Twitter would now add paid subscription options starting in January 2010, allowing account holders to charge audiences for access to their tweets, more text, images, links to their external websites and so on. Billing would be done on a monthly basis for a price that ranges from 100 Yen (approx. $1.15) and 1000 Yen (which converts to roughly $11.5). Users will apparently be able to use their credit cards, have their mobile carrier include it in their invoices, or even purchase a prepaid ticket at a convenience store to pay for the premium service. Finally, Twitter will be taking a 30 percent cut on transaction fees. The assumption is that this model would be fit for account holders who deliver real-time information, news and educational content, and tend to include original photographs, video images and audio in their tweets. The idea isn’t exactly brand new: Twitter co-founder Biz Stone mentioned earlier this year they were thinking of commercializing accounts as a way to get some revenue out of the popular service. But the surprising part is that people will actually be charged for access to premium accounts, rather than having holders pay for them. At least, in Japan. If I were a betting man, I’d say this is not something Twitter is going to be rolling out in the rest of the world any time soon though. Update: TC contributor Serkan Toto (who’s based in Japan) followed up with six reasons why this subscription model might just work out well for Twitter … in Japan.